Makabe town (真壁) is located in the middle of Ibaraki prefecture. Makabe was used to be the castle town of Makabe Castle. 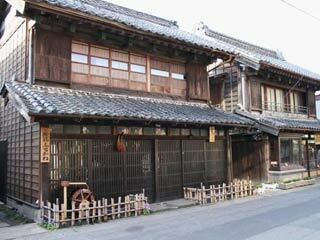 In Makabe, there are over 150 classic houses from Edo period. Especially, the storages are preserved in the great conditions. Also, the gate, moat and many other building are remains well, and this gives you the great images of how the town was constructed and developed during the Edo period. All those houses are private properties. Be very careful when you visit this town and take photo. And don't touch any of those buildings. The history of Makabe starts when Makabe Family built Makabe Castle. Makabe is also famous for Stone Carving. There are many shops which sales Stone Carving arts. There is a great Hina Matsuri.